The Southeast Missourian offers solid advice to all boaters, across the nation. The primary areas of public concern are divided between the needs of sunscreen and the usage of PFDs. Brenda Freed, public educator for Scott County Health Department offers these recommendations; apply sunscreen 30 minutes before going outside, sunscreen should be applied even in cloudy weather and “Often times we fail to reapply sunscreen after we get in the water. It’s recommended to reapply every two hours, especially if you’re in the water”. “It’s very important for parents to stress sun safety when their children are young and continue to practice that because it’s one of the keys to preventing skin cancer,” Freed added. Along with sunscreen, staying in the shade will offer relief from the harmful rays of the sun. 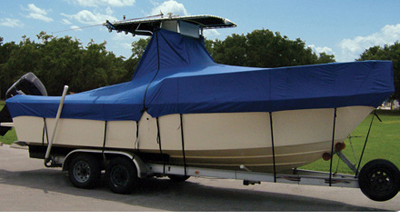 On a boat, shade is hard to come by unless you provide your own in the form of a Bimini Top or Anchorshade. Beyond preventing sunburn, some cover also reduces the chance of dehydration. Sherry Brethold, health and safety director of American Red Cross’ Southeast Missouri Chapter, offers “”If working in the heat, stay replenished with lots of fluids. Many people drink tea or caffeine, but it’s bad for you during the hot season because it dehydrates you faster than if you drink water, lemonade or even Kool-Aid”. To be safe on and in the water, there are several steps that a boater can take to increase their chances of enjoying this summer; and many to come. Through the entire summer, there is story after story told about the accidental drowning of both young and old while out on the water. The single best prevention of this type of incident is wearing a USCG approved PFD. In addition to children wearing a PFD, “Adults should practice ‘reach supervision,’ which means to be within arm’s length of a child in case an emergency occurs.” said Aidan Marshall, aquatics coordinator at the YMCA of Southeast Missouri in Sikeston. There are several types of PFDs (Personal Floatation Devices) for children and adults. The most comfortable PFD for many boating activities and wide range of temperatures is an inflatable PFD, but they are not approved for use on individuals under 80 pounds or under 16 years of age. Smaller children should wear an approved PFD with a ‘between the leg’ safety strap. Many States require anyone under the age of 13 on a boat, dock or in the water to wear an approved flotation device. Sherry Brethold ultimately offers this advice “Proper gear should also be worn. Kids — and even adults — who are not strong swimmers or who appear to rely on inflatable toys [meaning water wings, rings and the like] for safety should use U.S. Coast Guard approved personal flotation devices (PFDs) whenever they are in or around the water”. Over the next several years, the Connecticut Department of Environmental Protection (DEP) and local officials in Fairfield will be working to replace the original round buoys at the town’s beaches that do not meet state regulations. Gerald Lombardo, director of the town’s Parks & Recreation Commission, said that the town has purchased 10 white and orange cylindrical buoys to begin replacing the old ones. The buoys must also be filled with polyurethane foam with enough weight and buoyancy to be stable and remain above the water’s surface. In accordance with the new regulations, the white buoys have silver reflective strip at the top and a 3-inch international reflective band at both the top and bottom. Regulatory buoy labels depict the international orange symbol of a diamond with a cross inside to indicate the boundaries of a swimming area, says the Connecticut Post. Taylor Made regulatory buoys measure up to the strict requirements of Connecticut State and others. The buoys may be fitted with a variety of near twenty Sur-Mark regulatory buoy labels. The Sur-Mark White Can may also have reflective tape and a strobe to aid in night-time use.